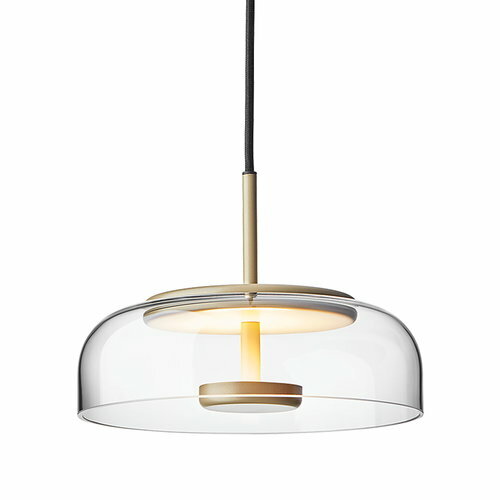 Blossi 1 pendant, designed by Sofie Refer for the Danish design lamp brand Nuura, is a modern luminaire with a classic touch. 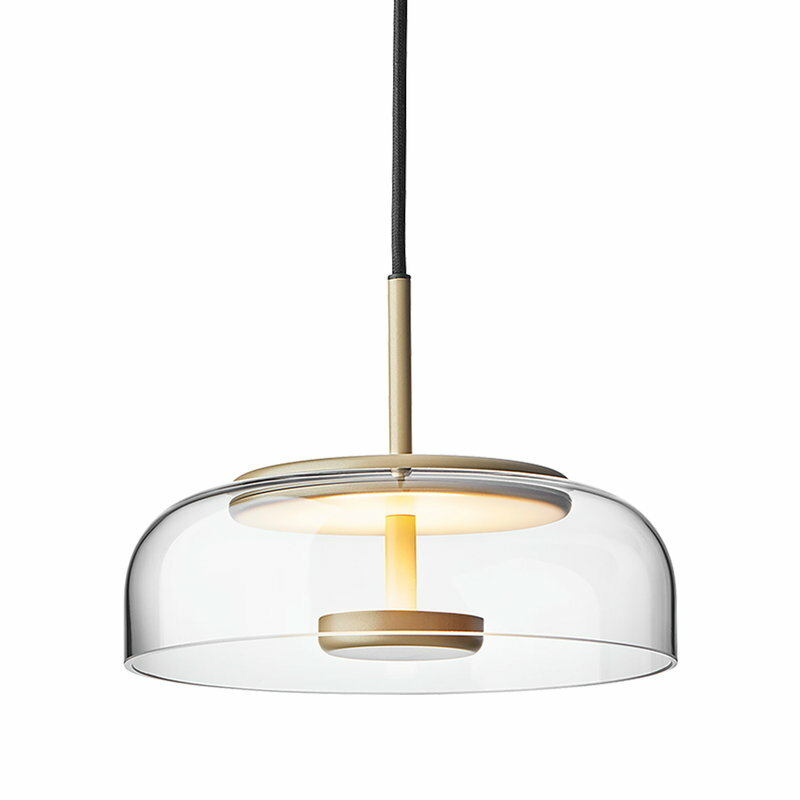 Inspired by the soft, golden light of the Nordic fall, Blossi collection features rounded glass shades with gold-coloured metal, giving the light a soft, indirect glow. The simplistic and sophisticated design of Blossi collection will complement all kinds of interiors at homes as well as public spaces. 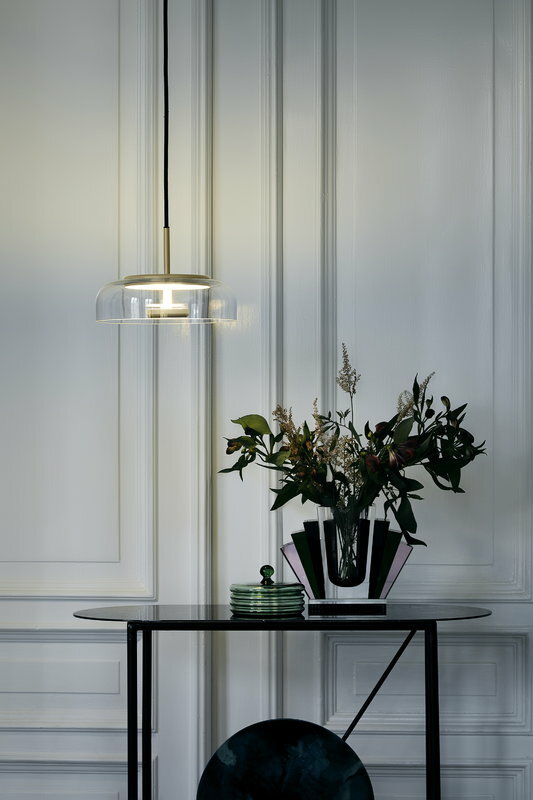 The hand-crafted Blossi lamps are equipped with efficient, integrated LED units. 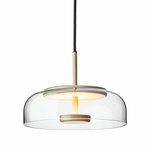 Sofie Refer is an awarded Danish lighting designer who works as the main designer of the design lamp brand Nuura, founded in 2017. A follower of Scandinavian design traditions, Refer finds her inspiration from the respect for nature, balance of simplicity and extravagance, and different shades of the Nordic light. Refer graduated from the Royal Danish Academy of Fine Arts in 2003 and has collaborated with some of the leading brands of the world. She has been awarded in prestigious international design awards such as the Good Design Award and Wallpaper Design Award.